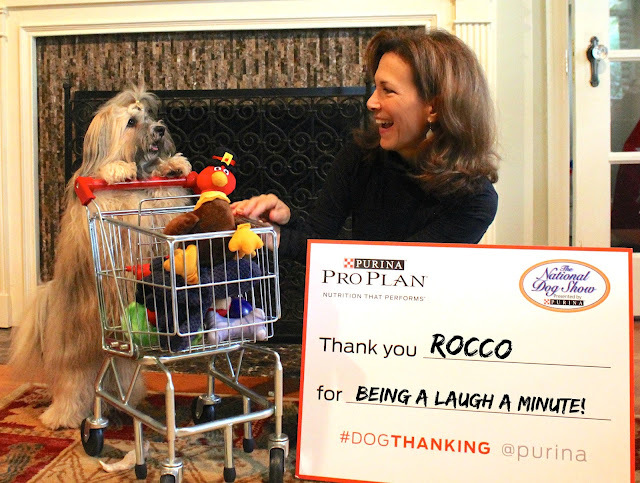 To Dog With Love: 'Tis the Season for #DogThanking! 'Tis the Season for #DogThanking! AKC Canine Health Foundation -- up to $75,000. This post is sponsored by Purina. All views are entirely our own. I knew Rocco was a special dog from the first day I held him at just three days old. A strange sense of calm flooded over me that day, and since then, he's become a dog I thank every day for both his ability to act as a natural stress reliever and his clown-like ways that make me laugh every day! With Thanksgiving just around the corner, it's the perfect time to think about what you're thankful for when it comes to your dog. And what's even better is that this November, the folks at Purina want to thank the four-legged friends who make our lives so special. 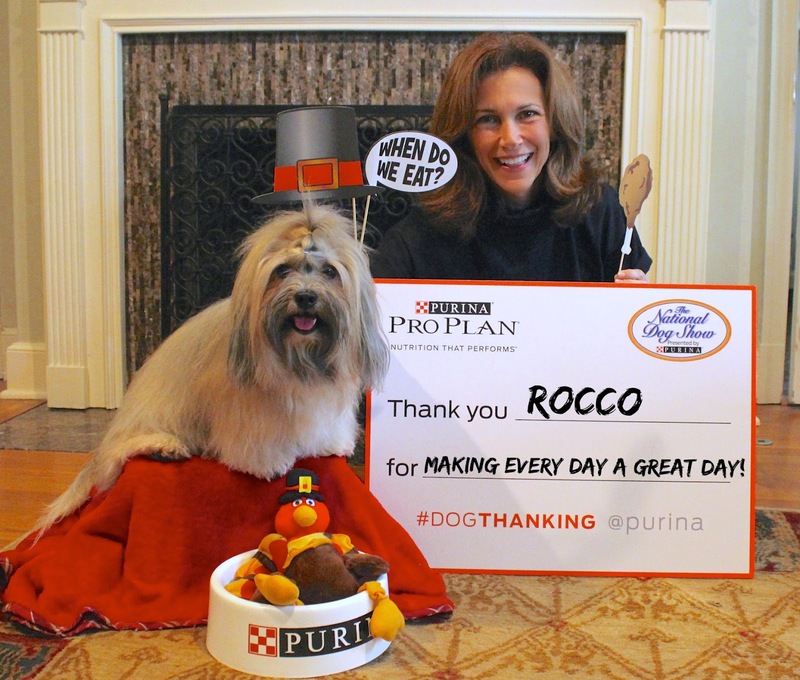 From Nov. 2 through the Thanksgiving holiday, Purina is inviting dog owners to log on to Facebook, Twitter or Instagram and tell the world why they are so thankful for their dog. For every original post that includes @Purina and #dogthanking, Purina will donate one dollar to the AKC Canine Health Foundation – up to $75,000 – to help keep our pets healthy. Submitted videos, photos and posts may be shown during the National Dog Show Presented by Purina, which airs at noon (in all time zones) on Thanksgiving Day on NBC. If you're like us, you won't want to miss the show. Watching it has become part of our Thanksgiving tradition! So take a pic and help keep pups healthy simply by tagging your photo with #dogthanking and @Purina. Why are you most thankful for your dog? Great post, Diane! So glad to hear Purina has made such an awesome committment to the Canine Health Foundation. Parental Unit always bakes pumpkin pie while watching the dog show—she's never miss it! those are some great pictures! What a great way to raise some money.